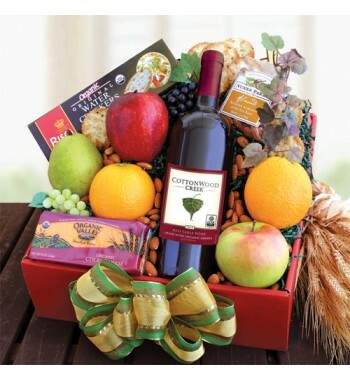 Gift Baskets Plus was created by the makers of the oldest mail order wine club of America, so they have extensive experience with making customers happy. It’s evident in how Paul Kalemkiarian (the co-owner) writes to his customers too. He wants to go above and beyond for everyone that purchases from him, whether they purchase wine, beer, coffee, crackers, chocolate, fruits, or other products. If they aren’t satisfied, he will “make it right and more,” he writes. A Gift Basket company founded by the owners of the oldest running mail order wine service of America. Gift Baskets Plus nails basket variety. I was surprised to find that there was even a gift basket for pets! Included is a ball, chew toy, and shampoo for your favorite dog. Some of the more standard gift baskets include assortments of wine, beer, fruit, coffee, cheese, cookies, and even meat. Customers can purchase baskets with a specific kind of product as well. These include strictly wine products, beer products, and more. If you want to get a little bit of everything, just choose the gourmet basket option to receive a variety of products in one basket. They also have towers, baby gift baskets, and sports-themed baskets. Gift Baskets Plus really delivers on variety. Gift Baskets Plus does allow for customization of baskets for corporate and regular consumer inquiries. When I talked to the owner he said that they would even customize wine bottles for their customers as well—which was a nice touch. Gift Baskets Plus offers so many themed baskets it’s hard to keep track of them all. They have specialty baskets which include “Get Well”, “Thank You”, “Wedding Gift”, and “Birthday Gift” options. What we liked was the variety inside the different options as well. For instance, in the “Birthday Gift” section, they have gifts for children all the way up to adults. Gift Baskets Plus carries many holiday themed baskets too including Christmas, Mother’s Day, and Hanukkah-themed products. As mentioned before, they also have baskets for your pet, baby showers, and those serving in the military. Overall, Gift Baskets Plus carries many different theme offerings that will be sure to fit with any style. They do have corporate gift baskets—12 to be exact. From wines to chocolates to cheeses and fudge, you can get a gift that the whole office will be able to enjoy. Note: They have an early bird discount before thanksgiving. Call in to see how that could fit in with your order. The discounts fall within this range, varying depending on the amount of the order. The average prices for their gift baskets range from $30-$50, and there are hardly any gift baskets that make it over the $100 mark. Most of the wine packages cost under $99.99 as well. Overall they price their baskets well, and it’s a good value compared to many other clubs on the market. 2-day shipping – $19.99 base and differing jumps in price depending on the cost range of the original gift. Overnight – $32.00 base and differing jumps in price depending on the cost range of the original gift. Alaska/Hawaii 2-day shipping – $27.00 base and differing jumps in price depending on the cost range of the original gift. Alaska/Hawaii Overnight – $39.00 base and differing jumps in price depending on the cost range of the original gift. Gift Baskets Plus normally ships Monday-Friday, and the cutoff period for overnight delivery is 11:30 AM. They do offer Saturday service as well, but an additional charge of $15.00 will be applied for those deliveries. There is also an added option to ship on a future date, which is convenient for customers looking to get the timing right for a gift. Gift Baskets Plus offers some good shipping options, but the lack of international shipping and relatively high prices subtract from the score in this section. Gift Baskets Plus packages their baskets beautifully. For all occasions, whether that’s Fourth of July, Christmas, or Valentines Day, their baskets reflect the themes of the season. For instance, the Fourth of July basket comes complete with a bow sporting red, white, and blue colors. These small touches are what make the baskets that much better. Sadly there are no personalized messages included in the gift baskets, but the beautiful packaging certainly makes up for it. Perhaps the best thing about Gift Baskets Plus is their attitude towards making their customers happy. They offer gourmet products, and it’s important to them that you’re convinced your hard-earned money is spent well with them. Therefore if there are damaged goods, or even goods that you don’t like, they will allow you to exchange it for a bigger basket. If you don’t want to exchange it, then they will reimburse you the purchase price. I was very impressed with the customer service from Gift Baskets Plus. I called their phone number (1-800-520-6657) and I was met by a nice agent who handed my information over to the owner himself, who was happy to oblige me with all my questions. They have other avenues to contact them, including emails and a “contact information” field to fill out through the website. 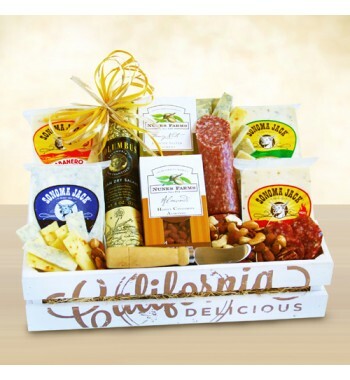 $50 to $100 – There’s a nicely sized amount of gifts in this price range as well, including the “Glorious Meat and Cheese” basket and the California Snack basket. $100 to $200 – There’s hardly any baskets within this range, but some of the ones that stick out are the 12 bottle wine gift, the Godiva Excellence gift basket, and the Barbeque Grill Holiday gift basket. $200 and up – There are hardly any options fitting into this category, but nevertheless there are some baskets that make it into this price range. For one, some of the higher costing Mrs. Fields gift baskets cost anywhere from $249.99 to $299.99. The highest costing one contains 28 cookies that are of the utmost quality. Gift Baskets Plus is best for those looking for a ton of variety in their baskets. They have baskets for basically every moment you could think of, making them an attractive option for buyers everywhere. The sheer variety from Gift Basket Plus is enough for us to be thoroughly impressed. I was also lucky enough to talk to the owner, and he answered all my questions and lived up to what he wrote on the “About Us” page. The customization, beautiful packaging, and pricing are some of the other strong points for Gift Baskets Plus. It’s tough to find something we don’t like about this club. The only thing we can think of are the corporate discounts. Some other clubs offer more discounts than this one. 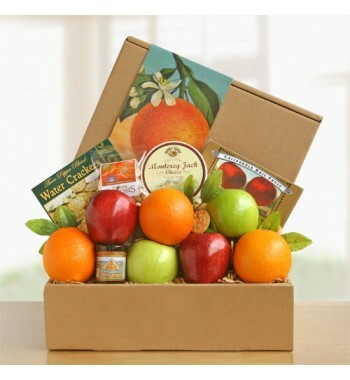 Gift Baskets Plus is a solid company, and one of the best out of the entire selection.